SALT LAKE CITY, UT- April 16, 2019 – Davinci Virtual Office Solutions, the leading provider of global virtual office services, announced the release of its new website www.davincivirtual.com. The site is built based on a completely responsive and mobile friendly design to provide the best user experience across all devices. Davinci’s new website lets visitors choose from over 1,700 virtual office address locations, 5,000 on-demand meeting rooms as well as a variety of business communication, live web chat and live receptionist services. Davincimeetingrooms.com – Your Leading Meeting & Workspace Reservation Platform for 10 Years! SALT LAKE CITY, UT – March 5, 2019 – Davinci celebrates the 10 year anniversary of the creation of its revolutionary meeting & workspace reservation platform DavinciMeetingrooms.com. Over 30,000 Small Business Customers, Enterprise Corporations and Legal Firms take advantage of Davinci’s fully equipped on-demand workspaces to hold their meetings in style. Davinci customers can reserve their perfectly equipped day offices or meeting rooms by selecting from over 5,000 work spaces in 50 countries – instantly – with the click of a button. Davinci – Meet Your Largest Virtual Office Solutions & Meeting Space Provider - Worldwide! SALT LAKE CITY, Jan. 29, 2019 /PRNewswire-PRWeb/ -- Davinci, the leading provider of virtual office addresses, on-demand workspaces and live receptionist solutions, announces that it now offers over 1,700 virtual office locations worldwide. Davinci's clients can choose from domestic locations in 48 states or international locations in over 50 countries. In the past 13 years, Davinci has provided virtual office solutions to over 60,000 companies and entrepreneurs throughout the U.S., Canada, Europe, Central America, Africa, Asia and Australia. Davinci Virtual Office Solutions announced that the International Association of Women (IAWomen.com) has selected the company as the exclusive provider for workspace solutions to their members. Davinci’s offerings include virtual office addresses, on-demand meeting rooms and workspaces as well as live receptionist services or live web chat. This partnership is part of ‘IAW Works For You’, an upcoming initiative IAW is launching to help their members with all aspects of their business. SALT LAKE CITY, UT- October 9, 2018 – Davinci announced that it will sponsor and exhibit at WORKTECH18 in San Francisco, October 30, 2018. Davincimeetingrooms.com is the leading reservation platform for on-demand meeting / work space, providing access to over 5,000 conference rooms, day offices, meeting spaces and business support services around the globe. Davinci offers meeting and workspace rental programs that have been specifically designed for corporate clients. "Davinci has been focused on providing tailored workspace and meeting solutions to the legal industries for over a decade now,” said Martin Senn, CEO of Davinci. “Today, thousands of firms are leveraging Davinci’s vast meeting space inventory and professional add-on services to service their deposition, mediation and legal business needs. Davinci offers over 5,000 extremely affordable, fully equipped meeting rooms – whenever and wherever you need them. Davinci Virtual Office Solutions, the leading provider of global business addresses, on demand workspace offerings and live receptionist services, was one of forty forward thinking Utah companies to take the ElevateHER challenge at the Women’s Leadership Institute’s recent 4th Annual ElevateHER Challenge Luncheon. The WLI’s mission is to elevate the stature of women’s leadership in Utah by improving society’s understanding of the value of diversity in leadership roles, training women in leadership skills, and conveying the positive impact female leaders have on economic development, vitality, and the overall health of the state. Of the core services coworking centers can offer, virtual memberships are without question the most profitable; meeting rooms are second, and desk space is least profitable. Ignoring this potential revenue stream will reduce your margins. "With Davincimeetingrooms.com, you can choose from over 5,000 professional meeting and workspaces and reserve them by the hour or by the day. Our meeting and workspace rental programs provide corporate clients with great flexibility, high-touch service and significant cost savings,” Senn added. "We are really excited to be involved with GCUC again this year. The conference has become a leading industry event for workspace solution providers and represents a great opportunity for Davinci to connect with our industry partners while educating new attendees on our offerings,” said Martin Senn, CEO of Davinci Virtual. "Our programs represent significant revenue opportunities for the workspace industries,” Senn added. “Davinci is extremely proud to be associated with Parity.org. Our company has been built on diversity, open culture and equal opportunity. We embrace those fundamental values every single day and have made them a huge part of our culture and commitment,” said Martin Senn, CEO of Davinci Virtual Office Solutions. Davinci Virtual Office Solutions, the leading provider of live receptionist services, global business addresses and on-demand workspace offerings, has seen a large uptick for live web chat purchases by small business users. Davinci’s live web chat solution can be leveraged by any business to increase web traffic conversions, provide educated customer service and generate leads or sales online. Davinci Virtual Office Solutions announced that it will present at the National Association of Professional Women’s (www.NAPW.com) first Virtual Business Summit. Davinci now offering 1500 virtual office locations and 5000 meeting spaces in 50 countries! SALT LAKE CITY, UT- October 17, 2017 – Davinci, the leading provider of virtual office solutions, announced today that its preferred partner network has grown to over 1,500 virtual office locations. Additionally, the company now offers over 5,000 day offices, meeting rooms, meeting spaces, and conference rooms for rent. Clients can purchase virtual office addresses and on-demand workspace in 48 states across the US while the company’s global footprint now includes 50 countries. SALT LAKE CITY, UT--(Marketwired - August 29, 2017) - Davinci Virtual Office Solutions will be exhibiting at the Global Workspace Association's Annual Conference in Miami, Florida September 11th – 13th, 2017. For the past eleven years, Davinci has established itself as the leading global provider of virtual office addresses, on-demand meeting space and live receptionist / live chat solutions. Davinci Virtual Office Solutions was founded in 2006 with the purpose of empowering entrepreneurs and companies to work more flexible and to take advantage of cost effective space outsource solutions. Davinci Virtual Office Solutions, a global provider of virtual office addresses, on-demand workspace and live receptionist services, is excited to announce the launch of its new online marketplace for SMBs. Davinci Virtual Office (DVO)is once again sponsoring and exhibiting at the Global Coworking Unconference Conference. This is the bellweather event for the industry and an important part of the DVO business. Jamie Russo talks all about the Davinci Virtual Workspace & Communications Services Industry Report. Have a listen by downloading on itunes! or Listen to this great podcast here. SALT LAKE CITY, UT--(Marketwired - February 28, 2017) - The global provider of on-demand workspace and meeting rooms is launching several video advertising campaigns on YouTube and Facebook this week. The professionally produced video assets promote the company's new Website and Online Reservation Platform Davincimeetingrooms.com while educating the public on the advantages of shared office space and workspace solutions. View the new Davinci videos on YouTube now. The mobile workforce is here to stay and the traditional work day as we knew it has become obsolete. As a direct result, businesses are now radically changing the way work gets done on a daily basis. SALT LAKE CITY, UT--(Marketwired - November 08, 2016) - Davinci Virtual Office Solutions, the leading provider of live receptionist services, global business addresses and flexible workspace offerings, announced today that it has released a new version of its live web chat offering. The new live chat software can be leveraged by any business to increase web traffic conversions, provide educated customer service and generate leads or sales online. Davinci's live chat support represents a very cost effective solution for any business that is using a website as part of their overall marketing strategy. SALT LAKE CITY, UT--(Marketwired - September 13, 2016) - Davinci Virtual Office Solutions announced that it will be exhibiting at the Global Workspace Association's Annual Conference in Las Vegas, Nevada September 28-October 1, 2016 (https://www.globalworkspace.org/events/category/conference/ ). For the past decade, Davinci has been the leading provider of live receptionist and live web chat solutions, virtual office addresses and on-demand meeting space worldwide. In addition, the company will launch new programs that enable coworking and business center operators to leverage and resell all Davinci services. SALT LAKE CITY, UT--(Marketwired - August 23, 2016) - Davinci Virtual, a leading provider of on-demand workspace solutions and virtual office services, announced the results of their flexible workspace data study. The company surveyed its active customer base of over 25,000 mobile professionals, entrepreneurs and corporations to identify new work style behavior and needs. A couple of weeks ago, we published an article on how workspace design can have a direct effect on revenue. Interior design is about much more than the looks and aesthetics of a physical space. In many ways, design helps with the flow, the energy, and the success of any given room or area. But because these are intangible and subjective factors, their huge impact upon a workspace are often not as quantifiably valued as they should. 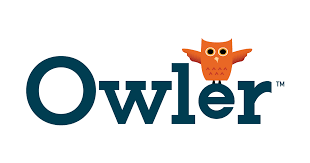 SALT LAKE CITY, UT -- (Marketwired) -- 07/06/16 -- Davinci Virtual Office Solutions announced that it has established an affiliate partnership program with Bookly.co, a cloud-based accounting solution that provides bookkeeping, tax preparation and payroll services for small business. The new affiliate partnership allows Bookly customers nationwide to take advantage of special discounts on Davinci Virtual Office Solutions and Davinci Meeting Space reservations and vice versa. Davinci Virtual Office Solutions was born when Bill Grodnik, Chairman and President, realized how alternative workspace strategies and mobile work environments demanded a new workplace solution. Before starting Davinci Virtual with Martin Senn, Mr. Grodnik had already been a part of the industry for over 20 years. First as President of HQ Business Centers in Arizona and later as Owner of Davinci International, a business center operator. SAN DIEGO, CA--(Marketwired - May 5, 2016) - Davinci Virtual, a leading provider of virtual office services, has named PACIFIC Digital Group to manage its earned media efforts. SALT LAKE CITY, UT--(Marketwired - April 19, 2016) - Davinci Virtual Office Solutions announced that it will be exhibiting at the Global Coworking Unconference Conference in Los Angeles, May 2-6, 2016 (https://usa.gcuc.co). Davinci is the leading provider of live receptionist and live web chat solutions, virtual office addresses and on-demand meeting space worldwide. For the past couple of years, the company also implemented programs that enable Coworking and business center operators to leverage and resell all Davinci services in shared office spaces. SALT LAKE CITY, UT -- (Marketwired) -- 04/05/16 -- Davinci Virtual Office Solutions announces today that it will be offering Davinci Live Receptionist services to Grind members nationwide. Davinci has been the leading provider of live receptionist and live web chat solutions to SMBs for the past decade. As of last year, the company also created programs that enable coworking and business center operators to resell Davinci services. Davinci Virtual, a leading provider of virtual live receptionist, live web chat and global virtual office services, announced the release of its IOS and Android mobile app for live receptionist customers. The new app allows active Davinci Live Receptionist clients to update their availability status, view messages from their live receptionist teams instantly, and receive all of their call activity and account history in one single place. Davinci LIVE for iPhone and Android keeps customers in touch with their Davinci Live Receptionist team. Get notifications instantly, modify your schedules and never miss a message or prospect lead again! 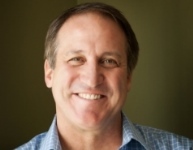 SALT LAKE CITY, UT--(Marketwired - January 19, 2016) - Davinci Virtual Office Solutions announced that it has named Martin Senn as the company's new Chief Executive Officer effective January 15, 2016. Senn co-founded Davinci with former CEO Bill Grodnik in 2006 and has been acting as Chief Operating Officer for the past 10 years. His operational leadership has strongly contributed to the company's success. Bill Grodnik remains actively involved with the company as Chairman and President. SALT LAKE CITY, UT--(Marketwired - January 12, 2016) - Davinci Virtual Office Solutions announced that the National Association of Professional Women (https://www.iawomen.com) has selected the company as the exclusive provider for virtual office solutions & conference room rentals to their members. Davinci's offerings include live receptionist services, live web chat services, virtual office addresses and on-demand workspaces and meeting rooms. Today’s mobile entrepreneur makes the most of the freedom that digital technology offers, working from everywhere at any time. SALT LAKE CITY, UT--(Marketwired - November 23, 2015) - The Salt Lake Tribune just published the2015 list of Utah-based top workplaces. Davinci Virtual Office Solutions was selected as one of Utah's best companies to work for in 2015. SALT LAKE CITY, UT, Nov 10, 2015 (Marketwired via COMTEX) -- Davinci Virtual, a leading provider of global virtual office services, announced the release of a new mobile app for Davincimeetingrooms.com. The new version of the app is specifically designed to interact with Apple iOS devices. Clients and prospects can now use the app to browse over 4,500 fully equipped work spaces, book conference rooms and day offices, and select a variety of available business services. Davinci Virtual, a leading provider of global virtual office services, has announced the release of a new version of the mobile app for DavinciMeetingRooms.com. The new Holo inspired version of the app is specifically designed for ease of use with Android smart phones and allows users to easily search over 4,500 professional work spaces, reserve conference rooms and day offices, choose from a variety of available business services, find meeting spaces to schedule in their geographical vicinity based on their GPS location and maintain frequently used reservation profiles and secure payment info. SALT LAKE CITY, UT--(Marketwired - June 30, 2015) - Davinci Virtual Office Solutions announced the successful software integration between DavinciMeetingRooms.com and Hubcreate's inventory management system SpaceDADI -- enabling live inventory availability for meeting rooms and work spaces. Now, office business center operators and coworking providers that are using Hubcreate internally can publish work space inventory and on-demand services to Davinci's online reservation platform allowing clients to reserve conference rooms and day offices at any locations that are using Hubcreate, manage changes and receive instant confirmations -- instantly -- online. Salt Lake City, UT (PR Newswire) May 19, 2015 – Davinci Virtual, the leading provider of global virtual office solutions announced that it is now offering Premium Live Receptionist Services designed to meet today’s business communication and administrative support strategies. Davinci’s Premium Live Receptionist offerings are staffed with dedicated teams of highly trained support agents that perform a variety of virtual receptionist services, including telephone related and administrative tasks. DavinciVirtual.com has been featured in an article on Inc.com. Learn all about 8 Apps Your Startup Needs Right Now and then visit us online to learn more about Web Chat! SALT LAKE CITY, Jan. 27, 2015 /PRNewswire/ -- Davinci Virtual, the leading provider of global virtual office solutions, announced today that its network now offers 1,000 virtual office locations. Davinci's clients can choose virtual office addresses at domestic locations in 47 states. Additionally, the international virtual office additions expand the company's global footprint to 32 countries. SALT LAKE CITY, Nov. 11, 2014 /PRNewswire/ -- Davinci Virtual, a leading provider of global virtual office services, has announced that it is now offering new video conferencing services available at over 3,500 meeting spaces on it's popular meeting room reservation platform, Davincimeetingrooms.com. The new video conferencing services are based on online video conferencing technology that can be used on any computer and laptop device, smartphone, and camera enabled tablet. A video conferencing session can bridge up to 25 unique visitors into a single video bridge that features full video sharing, desktop sharing, audio and recording capabilities. SALT LAKE CITY, Nov. 4, 2014 /PRNewswire/ -- Davinci Virtual Office Solutions announced the completion of an API integration that enables live inventory availability between DavinciMeetingRooms.com and Your Virtual Butler's unified calendar application. The new integration allows office business centers using Your Virtual Butler's unified calendar, to publish live meeting space inventory and on-demand services to Davinci's online reservation platform. Davinci customers can reserve conference room rentals and day offices at locations that are using Your Virtual Butler's unified calendar in real-time, manage changes, and receive instant confirmations anytime. Davinci Virtual Office Solutions among Utah's Fastest Growing Companies - for the 5th Year! SALT LAKE CITY, Oct. 14, 2014 /PRNewswire/ -- Mountain West Capital Network announced the selection of Davinci Virtual Office Solutions as one of the 100 fastest growing companies in Utah for 2014. Davinci Virtual Office Solutions is in Boca Raton this week at the 28th Annual Global Workspace Association Educational Conference. SALT LAKE CITY, Aug. 26, 2014 /PRNewswire/ -- Davinci Virtual Office Solutions and NotaryCam announced the successful launch of the virtual office industry's first 100% online on-boarding process for new Davinci clients. The new streamlined process is enabled by Davinci's technology integration with the online notary service platform operated by Davinci's partner, NotaryCam, and is offered to all Davinci virtual office clients as part of their initial sign-up process. Aside from representing a huge convenience factor for clients, the new initial online notary service provides quicker turn-around times along with increased security features. SALT LAKE CITY, Aug. 19, 2014 /PRNewswire/ -- Davinci Virtual, a global provider of virtual office solutions, has announced the completion of the expansion of its Salt Lake City head quarter office space. The newly built workspace will accommodate almost 100 new workstations and related common areas, allowing Davinci to meet the company's rapid annual growth it continues to experience. The newly built work areas will house specialty support agents for the company's core product lines such as live receptionist services, virtual office solutions, and fully equipped meeting room rentals. Davinci Virtual, the leading provider of global virtual office solutions, announced that it has signed over 150 new locations to its preferred partner center network in 2014. SALT LAKE CITY, UT -- (Marketwired) -- 05/06/14 -- Davinci Virtual, a leading provider of global virtual office services, announced the launch of a new Website and Online Reservation Platform for its subsidiary Davincimeetingrooms.com. The recently launched site allows users to search and compare over 3,500 professional work and meeting spaces worldwide, book and manage conference room reservations and reserve a variety of add-on business services. Mathematician, painter, sculptor, architect, musician, inventor, anatomist, geologist, cartographer, botanist, and writer, Leonardo Davinci, the epitome of the Renaissance, possessed unquenchable curiosity unbridled imagination. These ideals were foundational pillars when two business partners—Bill Grodnik, CEO, and Martin Senn, COO, came together in 2005 to form Davinci Virtual Office Solutions. Davinci Virtual, a leading provider of global virtual office services has been recognized for its exceptional customer engagement practices by LivePerson, a leading provider of digital engagement solutions. The full success story is now featured on LivePerson.com‘s customer success webpage. LivePerson highlights Davinci’s innovative use of live web chat tools internally as well as the company’s deployment of the LiveEngage platform to provide a seamless and personalized online experience for its clients. SALT LAKE CITY, UT--(Marketwired - Mar 3, 2014) - Davinci Virtual, the leading provider of global virtual office solutions now offers specialized live receptionist services catering to medical, legal, retail and bi-lingual customer verticals. The newly added live receptionist offerings are staffed with HIPAA trained support agents, bi-lingual receptionists, live web chat console operators and outbound lead generation specialists. The new services allow Davinci customers to further tailor their call handling and administrative requirements to meet their everyday business needs. Davinci Virtual, a leading provider of global virtual office solutions, has been experiencing incredible growth since its launch in 2006. The company posts record revenues every single year and now employs over 100 people. Davinci attributes its success almost exclusively to a very unique company culture and fantastic employees. SALT LAKE CITY, UT -- (Marketwired) -- 10/29/13 -- Davinci Virtual, the leading provider of global virtual office solutions, announced the launch of its redesigned and fully integrated live web chat solution. The new Live Web Chat service compliments Davinci's high-end virtual receptionist services and allows customers to have their Davinci Live Chat agents convert web traffic proactively into leads and sales. The newly developed service allows clients to use individually branded and customized chat buttons and window designs, custom scripts and FAQ's. The service is now also seamlessly integrated with Davinci's unified reporting and billing applications allowing for single source billing. The new integrated live web chat services were developed by Davinci and the industry's leading digital engagement technology platform LivePerson.com. Davinci Virtual Office Solutions Among Utah's Fastest Growing Companies -- for the 4th Year! SALT LAKE CITY, UT -- (Marketwired) -- 09/10/13 -- Davinci Virtual, a leading provider of virtual office solutions, announced their selection the as one of the fastest growing companies in Mountain West Capital Network's Utah 100 for 2013. Davinci Virtual Office Solutions will accept the award on October 22nd, 2013 at the Annual Utah 100 awards ceremony and winner's circle reception held at the Grand America Hotel in Salt Lake City. The event is hosted and presented by Mountain West Capital Network. SALT LAKE CITY, UT--(MARKET WIRE)—August 20, 2013 – Davinci Virtual Office Solutions announced the successful integration for live inventory between DavinciMeetingRooms.com and EVO Technologies’ HostedSuite application. The new API integration allows office business centers that are using EVO Technologies’ cloud based HostedSuite software to now publish live meeting space inventory and on-demand services to Davinci's online reservation platform. Davincimeetingrooms.com customers can now reserve conference rooms and day offices at locations that are using EVO Technologies’ HostedSuite platform in real-time, manage changes and receive instant confirmations. SALT LAKE CITY, UT -- (Marketwired) -- 07/09/13 -- Davinci Virtual, a leading provider of global virtual office services, has just been featured in Google's Annual Economic Impact Report. The most recent data set indicates that in 2012, Google's search and advertising tools helped provide $94 billion of economic activity for 1.9 million businesses, website publishers and non-profits across the U.S.
SALT LAKE CITY, UT--(Marketwired - Jun 4, 2013) - Davinci Virtual, a leading provider of global virtual office services, announced the launch of its third new website www.davincireceptionist.com. The e-commerce site has been custom built to promote all of Davinci's cutting-edge business communication services. Davinci chose to host its newest website on Microsoft's Windows Azure Enterprise Hosting Platform to guarantee full redundancy and availability. SALT LAKE CITY, UT--(Marketwired - Apr 9, 2013) - Davinci Virtual, a leading provider of global virtual office services, has announced the release of a new website for DavinciMeetingRooms.com. The new mobile site is specifically designed to interact with iPhone and Android smart phones and allows users to search over 3,000 professional work spaces, reserve conference rooms and day offices, select from a variety of available business services, find meeting spaces in their geographical vicinity based on mobile GPS applications and maintain frequently used reservation profiles and secure payment info. SALT LAKE CITY, UT -- (Marketwire) -- 11/28/12 -- Davinci Virtual, a leading provider of global virtual office services, announced the release of its new customer messaging and management interface. The new client communications portal allows users to access and manage their messaging tools including call routing, unified messaging with digital voicemail, voicemail to email, email, online fax, fax to email, conferencing platform, notifications and more. The portal is fully integrated into Davinci's secure account management site. SALT LAKE CITY, UT--(Marketwire - Oct 16, 2012) - Davinci Virtual, a leading provider of virtual office solutions, announced their selection as the 22nd fastest growing company in Mountain West Capital Network's Utah 100 for 2012. Davinci Virtual Office Solutions Completes Expansion To Accommodate Rapid Growth! Davinci Virtual, a global provider of virtual office solutions, has announced the completion of its office space addition to house the company’s subsidiary www.Davincimeetingrooms.com. The newly built workspace accommodates over 25 work stations and related common areas. -- Davinci Virtual, a leading provider of global virtual office services, announced the launch of a new Website and Online Reservation Platform for its subsidiary Davincimeetingrooms.com. The new site allows users to search and compare over 3,000 professional meeting spaces, book and manage conference room reservations, reserve a variety of add-on services, find meeting rooms in their geographical vicinity using mobile GPS applications, check in for meetings at the locations with a digital membership card and much more. Davinci Virtual Office Solutions unveils a new marketing campaign at the Global Workspace Association Annual Conference in Baltimore, MD. September 19th through 21st 2012. Click Here to See our Excerpt from the Magazine! SALT LAKE CITY, UT--(Marketwire - Aug 14, 2012) - Davinci Virtual, the leading provider of global virtual office solutions, announced that its preferred partner center network now represents over 900 active members worldwide. The company plans to offer over 1,000 virtual office locations by year end. Davinci Virtual, a leading provider of global virtual office services, has created a series of interactive online videos to educate today's mobile workers and entrepreneurs on the benefits of virtual office solutions. Davinci Virtual, a leading provider of global virtual office services, announced the launch of its completely redesigned main website www.davincivirtual.com. VIRTUAL OFFICES - AWAY WE WORK .... ANYTIME, ANYWHERE, EVERYONE! The Workspace-as-a-service Industry is obviously perfectly positioned to deliver an array of virtual office products. Many operators have focused on the virtual office market for several years and they are driving significant revenues, but even more importantly - significant margins to their bottom lines. Davinci Virtual, the leading provider of global virtual office solutions, proudly celebrates 6 years of successful business operations and profitable growth. SALT LAKE CITY, UT--(Marketwire -03/13/12)- Davinci Virtual, a leading provider of global virtual office services, announced the release of its Android application for communication clients. 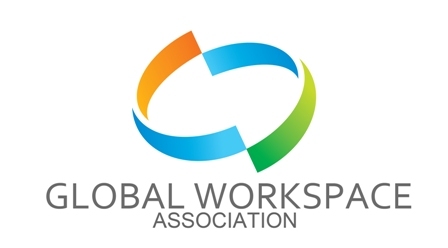 Global Workspace Association (GWA) -- the leading trade association representing workspace operators -- released its comprehensive study of the workspace industry which reveals that the flexible and money saving solutions delivered by workspace-as-a-service providers is fueling industry growth at a time when the results for traditional office space have been mixed. SALT LAKE CITY, UT--(Marketwire - Nov 30, 2011) - Davinci Virtual, a leading provider of global virtual office solutions, announced today that its subsidiary DavinciMeetingrooms.com experienced over 200% growth in reservation revenues this year already. IRVINE, Calif., Nov. 8, 2011/PRNewswire/ Office Business Center Association International (OBCAI)- the leading trade association representing workspace operators - is changing its name to Global Workspace Association (GWA). SALT LAKE CITY, UT--(Marketwire - Oct 12, 2011) - Davinci Virtual, a leading provider of virtual office solutions, announced their selection the 6th fastest growing company in Mountain West Capital Network's Utah 100 for 2011. Today, many entrepreneurs and employees go through a work day that is definitely different from the one they experienced just a couple of years ago. Cutting-edge mobile technologies and global Internet coverage combined with powerful cloud-based resources enable them to be connected anywhere, anytime - in many ways. SALT LAKE CITY, UT — Davinci Virtual, a global provider of virtual office solutions, has been selected as the 21st fastest growing company by the Utah Business 2011 Fast 50 awards. This is the company's 4th consecutive yearly award in the Utah Fast 50. IRVINE, Calif., July 13, 2011 /PRNewswire/ -- As companies focus their efforts on operating, and indeed prevailing, in the current economy, a year-end 2010 financial study that surveyed 442 office business centers, compiled by the Office Business Center Association International (OBCAI) – the leading international, non-profit, trade association representing office business center owners and operators – indicates that businesses are using Virtual Offices as a means to help them achieve that objective. Davinci Virtual, a leading provider of global virtual office services, announced over 100% growth in transaction volume for Davincimeetingrooms.com. The comprehensive online reservation platform allows users to search over 2,500 professional conference rooms worldwide, book and manage meeting space reservations with ease and reserve a variety of add-on business services. In the wake of the recession, many companies, particularly smaller ones, have begun outsourcing front-office staff to save money. How does it work? For many small business owners and “solopreneurs”, winning new business and growing a company can feel like acting out David vs. Goliath. These tips from Bill Grodnik, CEO of Davinci Virtual can help small companies with limited resources compete with the million dollar budgets and pervasive mind share of big businesses. With all signs pointing to an economic recovery, many small businesses are hoping now is the time to attract new funding. Before looking towards external sources of funding, there are things that small business owners need to keep in mind. You named your small business, you set up a Web site, and you even started seeing profits from it. What's next? Since leaving the Intelligent Offices network, Office Edge has been on the move. The company has rebranded itself, added video conferencing capabilities-and now it's hooking up with Davinci Virtual Office Solutions. Webex video conferencing, unified messaging and voice-to-text voicemail are among the services targeted to SMBs and remote office workers. Davinci is the kind of company that can survive a downturn in the economy because it can take over services many companies would like to eliminate in order to stay in business. Davinci Virtual Office Solutions Ranks #141 on the Prestigious 2010 Inc. 500 list and # 9 in the Business Solutions category!.. Davinci Virtual, a leading provider of global virtual office solutions, proudly announced that it is on schedule to complete the construction of its new North American Headquarters by October 1, 2010. Treend has two bungalows on Main Street for office space but in reality he runs his company largely as a virtual business -- a paperless, Web-based affair conducted mostly through the Internet with employees able to work anywhere there's a high-speed connection. He contracts for his communications -- phone answering, call routing, faxes and voice mails, as well as outbound sales calls -- with a Salt Lake City company called Davinci Virtual. LONDON--(Marketwire) - Davinci Virtual, the world's leading provider of virtual offices will be exhibiting again at this year's New Business Startup conference in London from 26th - 27th November, with a team of specialists on hand to tailor services and packages to support and accelerate small business growth. SALT LAKE CITY, UT--(Marketwire - 09/17/09) - Davinci Virtual, a leading provider of virtual office space solutions, has released version 2.0 of its online reservation platform DavinciMeetingRooms.com. LONDON - Davinci Virtual, the United States-based world leader in the provision of virtual office solutions, today confirmed its 100th partner centre in the UK. Leading virtual office services provider Davinci Virtual announced today it has received nominations from a number of its customers in the Business Centre Association (bca) Trade Supplier of the year category for 2009. 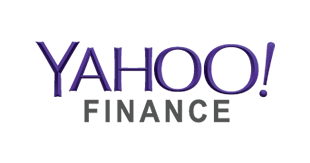 Davinci Virtual, a leading provider of virtual office solutions, has announced that it has completed the successful conversion of all sales, customer service and partner center work flows to Salesforce.com. Virtual Office Solutions Company Davinci Virtual Embarks on Recruitment Drive to Meet Increasing Demand13h 3m ago Street Insider LONDON -- (MARKET WIRE) -- 07/07/09 -- Leading virtual office services provider Davinci Virtual has tripled staff numbers since its UK launch in January as a result of increased demand for this solution. In the past three months, Davinci has doubled..
You had me at ‘hello’, says Renee Zellweger’s character to Tom Cruise after he proclaims his love for her in Jerry Maguire. Love at first sight should be savoured; I fall in love once decade and relish it. But, like most entrepreneurs, I fall in love with my business too- only every day. By THE ASSOCIATED PRESS BUSINESS IDENTITY CRISIS: You're basically a one-man operation run out of your garage, and you can barely afford to hire a receptionist to answer the phones. New European Partner Locations Increase Davinci Virtual Global Footprint Davinci Virtual, a leading provider of virtual office space solutions, has announced the addition of 23 partner center locations throughout Western Europe. by Jennifer LeClaire Davinci Virtual has done it again. Davinci Virtual is already a leading player in the on-demand office solutions market. Now, it’s making moves to compete in the meeting space market. Specifically, Davinci Virtual has launched a new Web-based reservation platform that aims to make booking conference rooms and meeting spaces as quick and easy as purchasing office supplies from Quill.com. NETWORK Members Davinci and Avanta Partner ALLIANCE Member Davinci Virtual in the US has partnered with fellow ABCN Member Avanta in the UK. Their partnership was created with the goal of increasing both parties' global footprint and customer bases. Davinci Virtual Experiences Strong Market Share Gains in Virtual Office Space SALT LAKE CITY, UT--(MARKET WIRE)--Oct 7, 2008 -- Davinci Virtual, a leading provider of virtual office solutions, proudly announced today the company will pay out over $1.5M in 2008 to its preferred partner center network due to strong gains despite the declining economy. Where Will Davinci Virtual Be in Five Years? It’s getting harder and harder for indirect distributors of communications services to ignore the SOHO or home-based business market. Whatever kind of business you're in, impressions are always important—and in attracting new business, they're absolutely crucial. What's a small business to do?